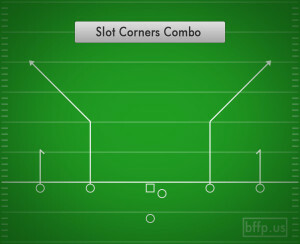 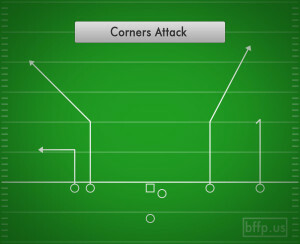 The Corner route is the inverse of the Post route on paper, however, there are a few intricacies that differentiates the way the route is run. 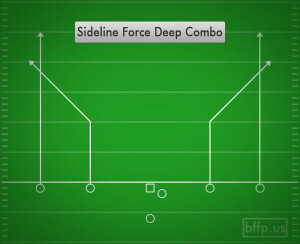 Instead of breaking off at a 45 degree angle to the middle of the field, you break off at a 45 degree angle towards the sideline or the “corner” of the field. 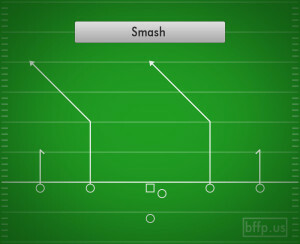 At this point, you will be running directly away from the Quarterback, so you will want to turn your head all the way around so that you are facing the line of scrimmage and in position to adjust to the trajectory of the throw.